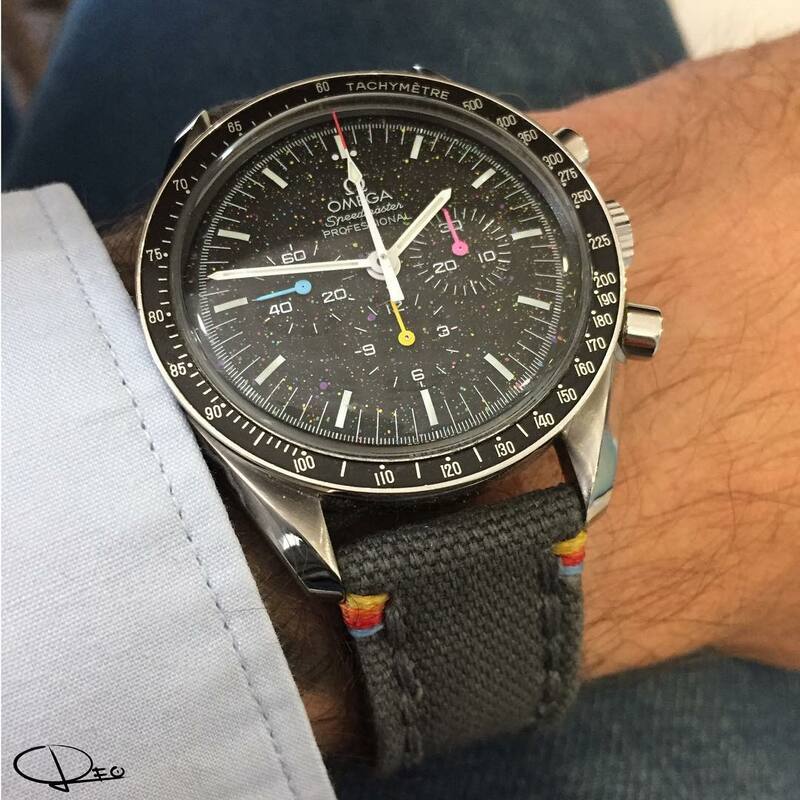 I have been lusting after the Omega Speedmaster watch for quite sometime (5 years to be exact). 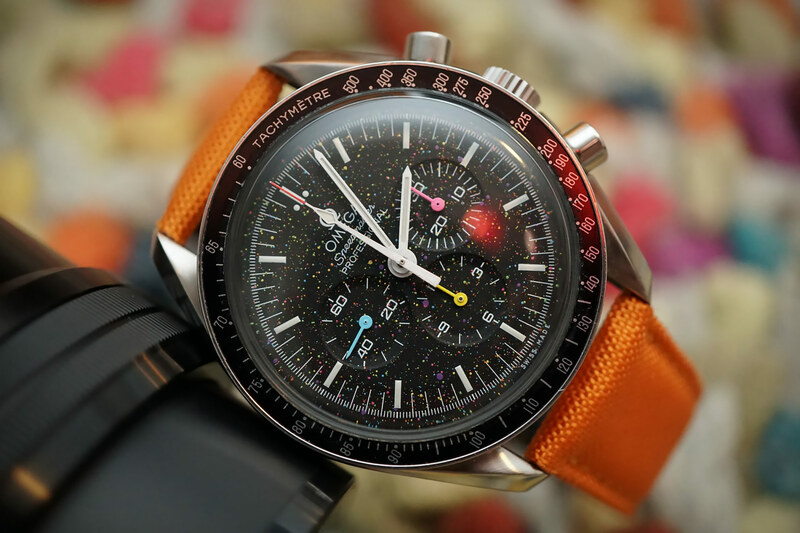 This latest Speedmaster rendition, the Creo Cosmic Omega Speedmaster Professional, was built to celebrate the six Apollo moon landings. It is a very limited release (6pcs worldwide), will cost $4,950, and can be customized with your color choices. The watch dial is hand-painted with tiny colorful specs which represent the nights sky.